*I received free product from Vega, but all opinions and recipes are my own. Eating vegan isn’t all about munching on quinoa and kale (although I do love my quinoa and kale). I love vegan desserts, too! There’s often the misconception that vegan desserts aren’t nearly as tasty as “the real thing.” Although I’m a vegetarian, I often love a great vegan dessert (did you know Dole whips are vegan?). I am a big frosting fan–one that tastes natural, indulgent, but not overly sweet. My 2-ingredient easy vegan chocolate frosting is the perfect consistency for frosting a cake, cookies, or just dipping some graham crackers in! Just mix your ingredients together very well, until frosting consistency. This yields about the same size you would get from a typical 15 oz jar of frosting. And since this chocolate frosting is made primarily from protein powder, it is totally guilt-free! I love using Vega vegan protein powders because they don’t have that traditional “protein powder” taste, they genuinely taste like the flavors they say they are! Enjoy! 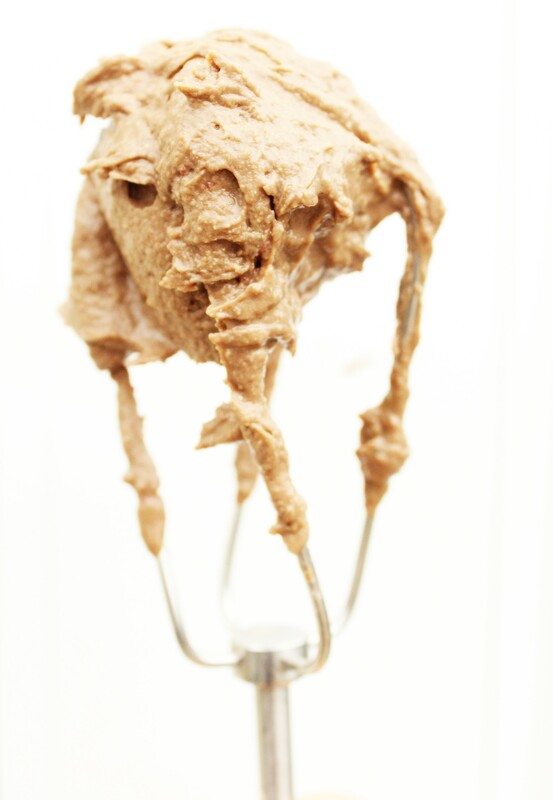 I can’t wait to see what creations you make with my 2-ingredient easy vegan chocolate frosting!